The contentment we feel when we line according to the preachings of Lord Buddha cannot be measured. Sharing such a noble thing is much more meritable. You better think that we've got a chance to be a human as we had done many meritable deeds in our earlier births. To do such things may might have helped us. So we should be thankful to those who helped us to get this life as a human. We all should think that we given a womb by our mothers to be born as a human. Though what we are now, at our early stages we were helpless. We all should think of the elders those who helped to stand on our own feet. We should do meritable deeds transfer the power of merit to them. Just think here we able to clean our selves just after our birth mere we able to do our own work? No, never. We were cleaned by someone at every time we urinated, at every time we dirtied ourselves. Can you forget all these helpers? Some time you may think that they were paid where you able to earn money and pay them? Sometimes you might think the social workers and the government workers did that because it was their duty. But, if they didn't find you at the proper time? Just imagine was your mother paid for keeping you in her womb? Never underestimate the deeds your parents and elders did to make you a well built person. You should think that when you were a young, you were really a dependent, or in other words you were a sort of smart beggar. The knowledge you got on rending and every thing was passed into you because of your elders. All the helpers without considering their status should be honored as they all worked to build you up. Don't say that you were not such as thing. But the bitter reality is that. Sometimes those helpers might have done something which would cause a little harm to you. Don't consider such small mistakes. But here it does not mean the severe harassment should be neglected. Buddhism talks to your mind not to your flesh. So you must have a wide dimension to identify what Lord Buddha had preached. There are many invisible poems in the zodiac they are named as Gods, devils, like that. But the most powerful according to Lord Buddha is what we have done. That is named as 'Karma'. Everything depends on what a person has done that is the theme of Karma. But there is some sort of an influence of the invisible powers on human. But, if a person says that all the starts are very helpful to me, I'll never be hurt by anything it is wrong. Though the power of start and other invisible powers are favorable to a person, he might burn his hand if he puts his hand into fire. The power of the sun, the moon and stars directly affect the human. It is much clear they influence on human. Scientists have found the negative effects of x-rays, ultra-violet rays. As well they have proven how quick they are to reach to earth. Today the science have proven how powerful the rays are. Buddhism has shown all these earlier. In Lord Buddhas preaching. In the history of Buddha hierarchy, no one had attained the enlightenment in a cave. Every Buddha was under a tree to attain enlightenment. They all have faced East and they all attained enlightenment on a Vesak fullmoon poya day. If all those starts moon and sun supported to gain the noble enlightenment, what is the use of arguing against the power of them? A planet is a unit, a solar system is a conglomeration of such units, so they have power, the rays that form from those are powerful enough to do influence to human. Astronomers learn the behaviors of the planets and their cosmic changes. It is common to all the start, exists and death (destroy). Those three are called the "Tri-Statues" (Thri Moorthi). 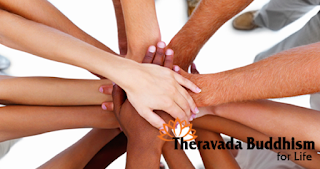 If a person behaves very well in the society helping and honoring others he is considered to be the "Brahmin". That means a noble person. It is not directed from the cast, creed but from the behavior of that person. If a person does meritable deeds refraining himself from all sins he normally shows the qualities of a goal. Then the rays of all zodiacs, and planets become favourable to that particular person. Those who have done powerful merits have got the status of 'Gods'. They also become favourable to the person who does the good deeds. They try to protect that person from evil powers assuming that is a meritable deed. Those may be unavoidable sins which sometimes even kill that person who behaves very well. That is not because of their present behaviour, but became of their sinful behaviors during their previous births. Knowing this a Buddhist can get the help of favorable powers of the zodiac. All these good deeds are blessed from the spirits which like merits. That develops as a wall to protect the person who does merits. That bliss helps him to prevent himself from hell. If a person practice "Maithree Meditation" (The meditation of honoring and respecting and wishing them the good) he will be blessed by all the good spirits and he will be protected by them. Evil looses the chances to attack him, That is why Lord Buddha had preached that the person who lives accordingly to the Dhamma is protected by Dhamma. Again you should be aware that means not putting your hand int fire and look for protection from Dhamma. It is protection from invisible evil spirits and power. However doing all these meritable deeds we must wish to attain Nibbana at the end of our effort. It will be a bliss to all the creatures of the world.